Most politicians have things in their past they hope will never come to light. 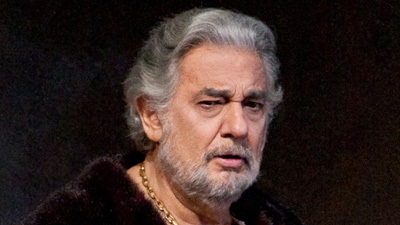 But the Doge of Genoa, Simon Boccanegra (Frank Guarrera) has a deep personal secret. After the woman he loved died, their illegitimate daughter disappeared. 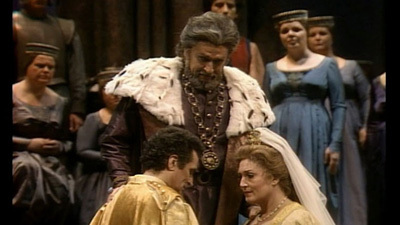 Twenty-five years later, he finds Amelia (legendary Verdi soprano Zinka Milanov)—only to realize she’s in love with his political adversary, Gabriele Adorno (the great Carlo Bergonzi), who has sworn to kill Boccanegra. This passionate mix of family drama, political revolt, conspiracy, and slow-acting poison features some of Verdi’s most stirring and beautiful music, conducted here by Dimitri Mitropoulos.